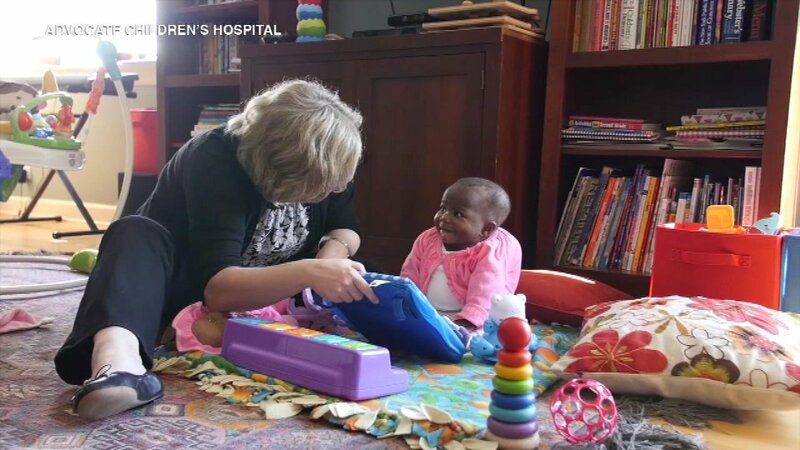 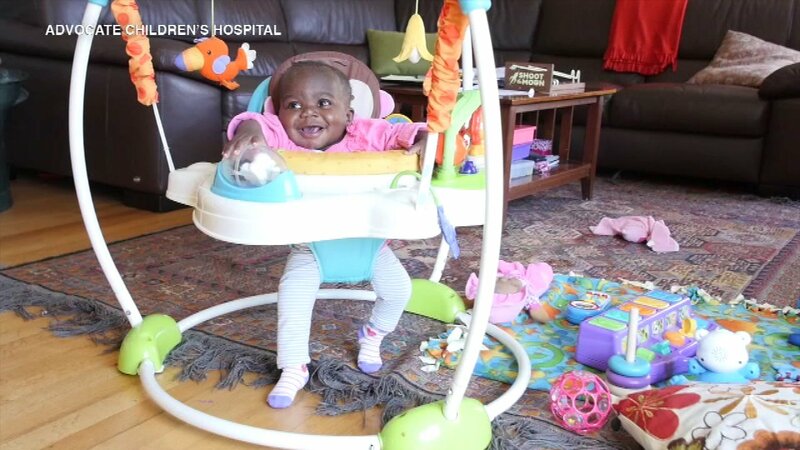 PARK RIDGE, IL -- After a complicated surgery, a baby born with four legs and two spines is progressing well in her recovery, Advocate Children's Hospital officials said. 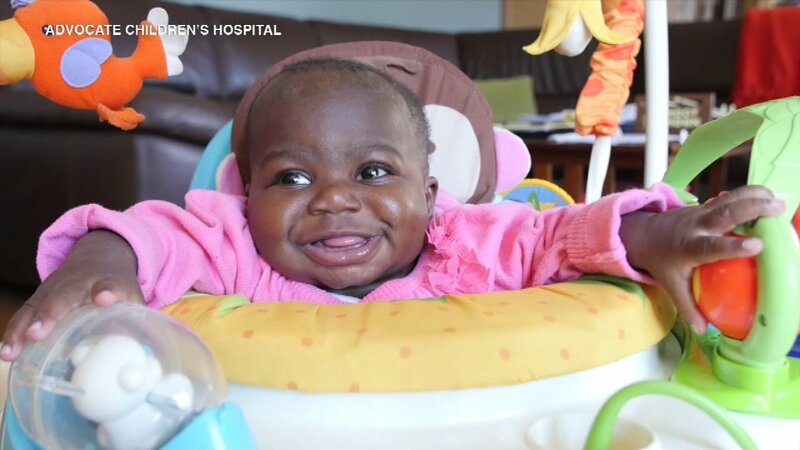 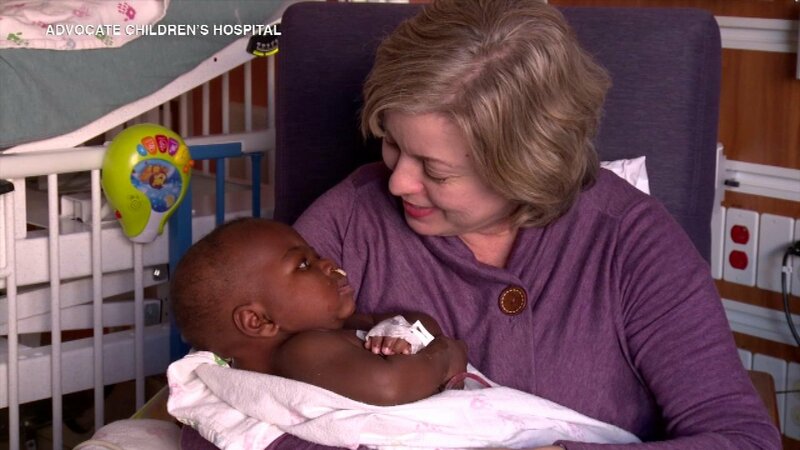 Now 10 months old, Dominique was born in the Ivory Coast, west Africa, with a parasitic conjoined twin. 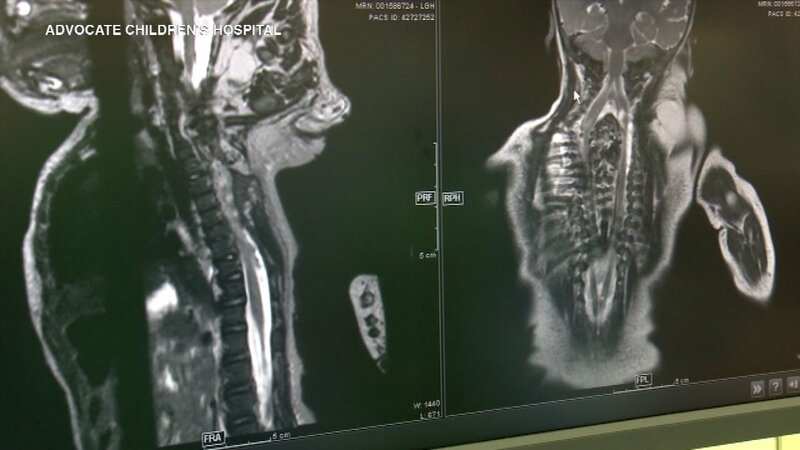 The bottom half of her not-fully-developed twin's body protruded from Dominique's neck and back, officials said. 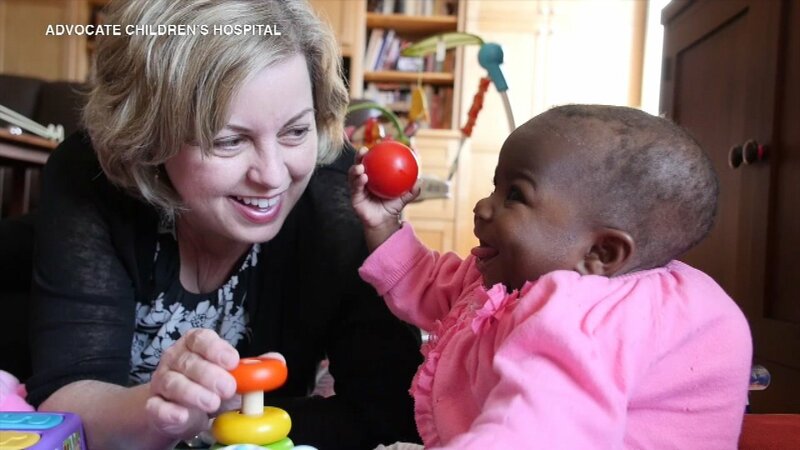 She came to the United States for specialized medical care at the children's hospital in northwest suburban Park Ridge. 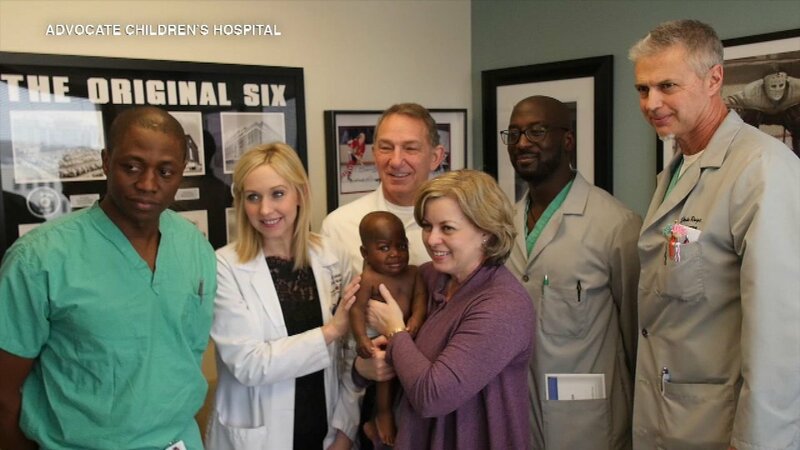 Officials said 50 clinicians, including five surgeons, helped care for Dominique. 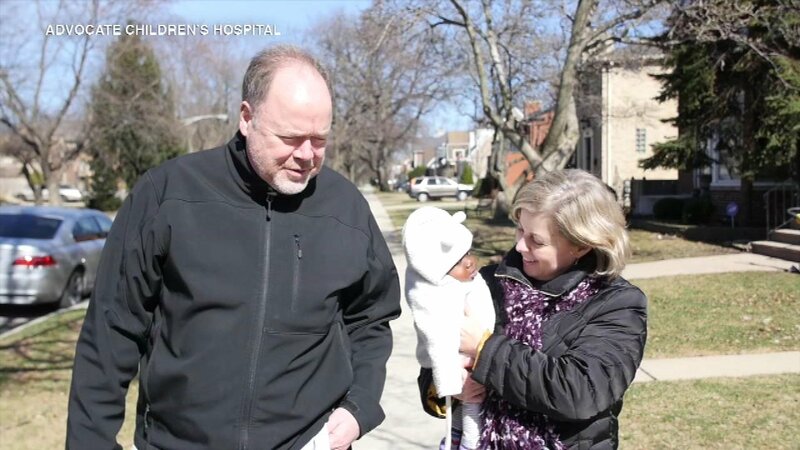 She will recover with her foster family in Chicago, while her parents and siblings await her return home.